I am not one to sit on the side line and let my toddler have all of the fun, oh no! 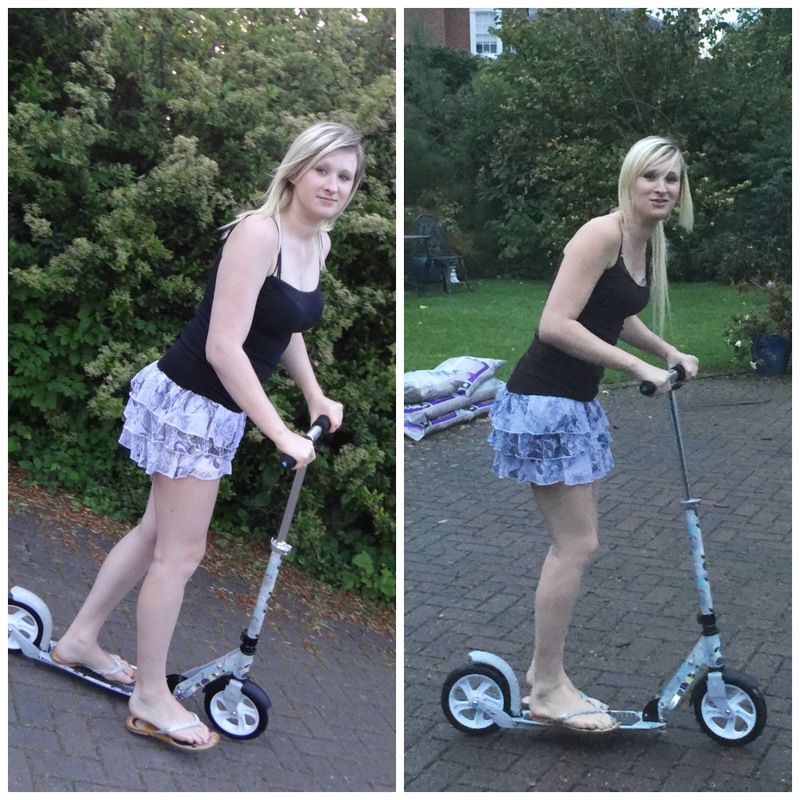 I like to be involved and be a part of the action, so when the chance presented itself to try out the Y-Volution Y Fliker Carver – an adult scooter… I could hardly contain my excitement. The Carver is a scooter like no other I have ever seen, and it moves in a completely different way to your traditional scooter. 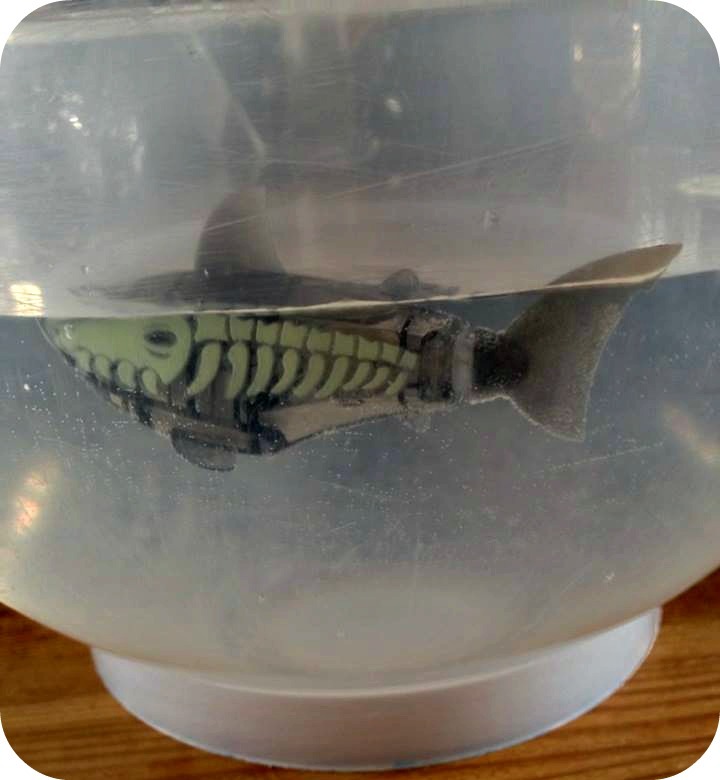 The Carver arrived in a big box, a box that was immediately handed over to Luke to put together. 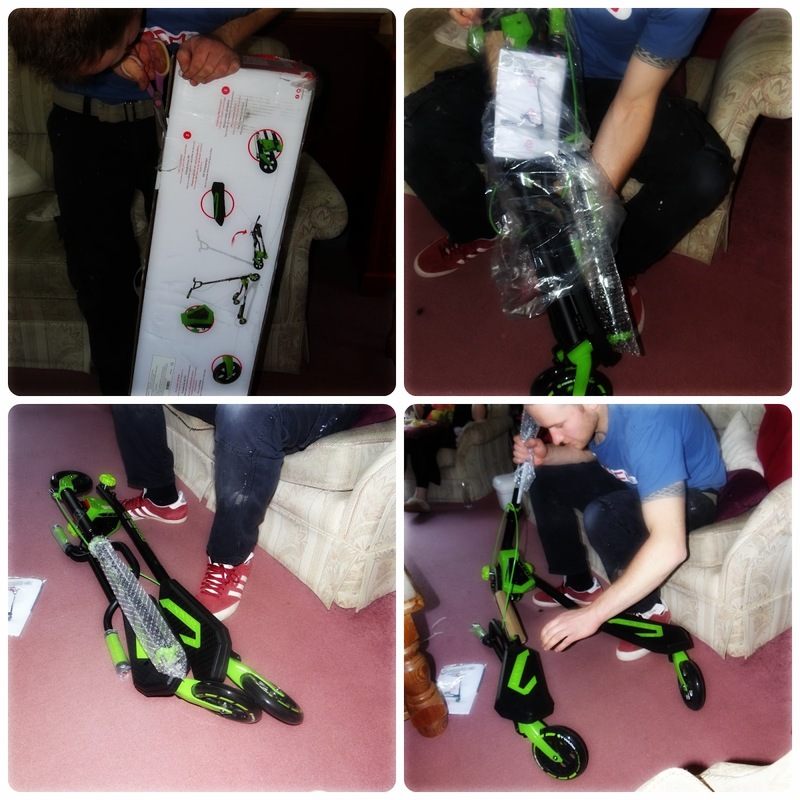 It took less than 15 minutes to put the Carver together and I know that if Luke had even glanced towards the instructions, and realised that the Allen Key were included within the box (just like I told him they would be), he wouldn’t have been running around looking for one like a headless chicken. So my advice would be.. Don’t do a Luke! Check the box first, it comes with absolutely everything you need to get the scooter set up. Setting up the Carver is simply attaching the handlebar to the foot plates and making sure everything is secure. Of course as Luke had put it together he called first dibs on using it. 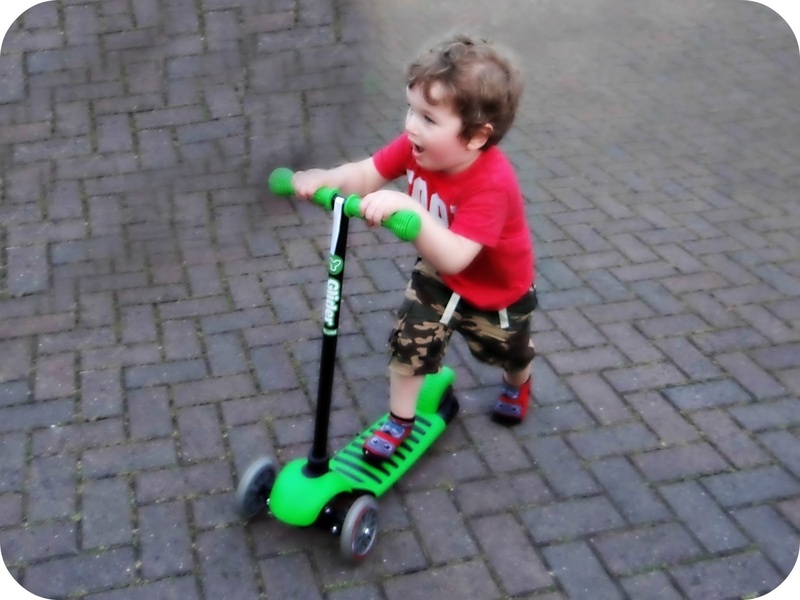 Leo watched as Daddy had his first go on the Carver, or ‘Mummy’s scooter’ as he has been calling it. To propel the Carver forwards you have to wiggle your body in order to gain momentum, that first ride is always funny to watch. Luke did make me giggle as he wiggled his bum and began to take those first nervous movements forward. 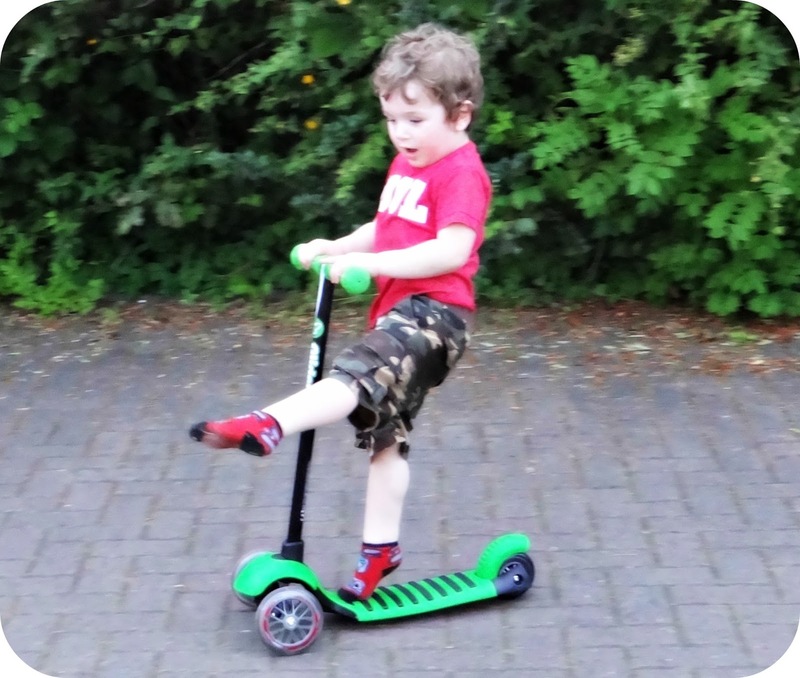 Within a few minutes Luke seemed to have the hang of getting the Carver moving, spinning shapes and even stopping thanks to the brake on the handlebar. So I informed him that it had to be my turn by now! I placed my feet on the two foot plates provided, I began to wiggle and began to move the Carver forward. I felt a little nervous to start with, I had never ridden anything like this, not even as a child. I kept going and began to pull some wobbly shapes, it’s so easy to steer the Carver and within a few minutes I was building up confidence. As the weeks have gone on the entire family has been making good use of the Carver, and it is so easy to use once you get used to how to do it. 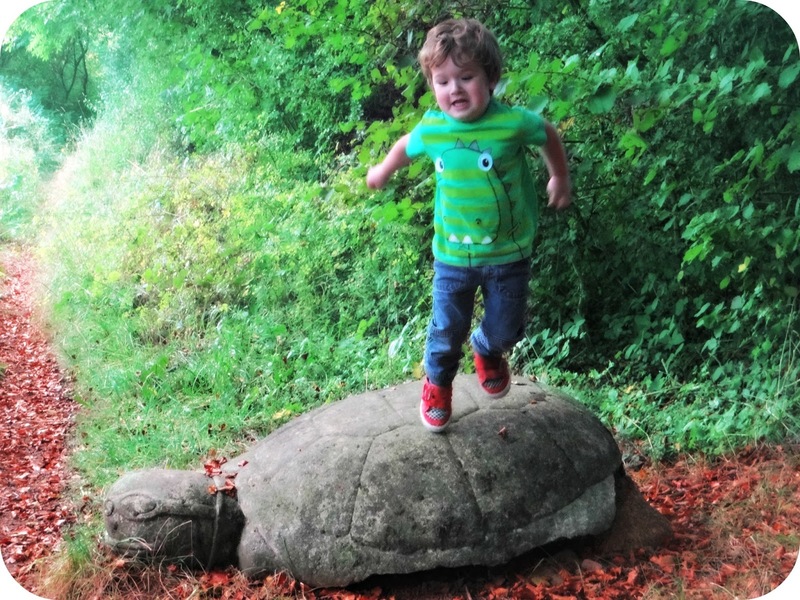 We have all been enjoying it, and Leo has loved having us big kids (his parents) out to play. Luke has pretty much claimed the Carver as his own, my younger brother and sister have been borrowing it and have managed to build up speed and pull some rather fabulous shapes! 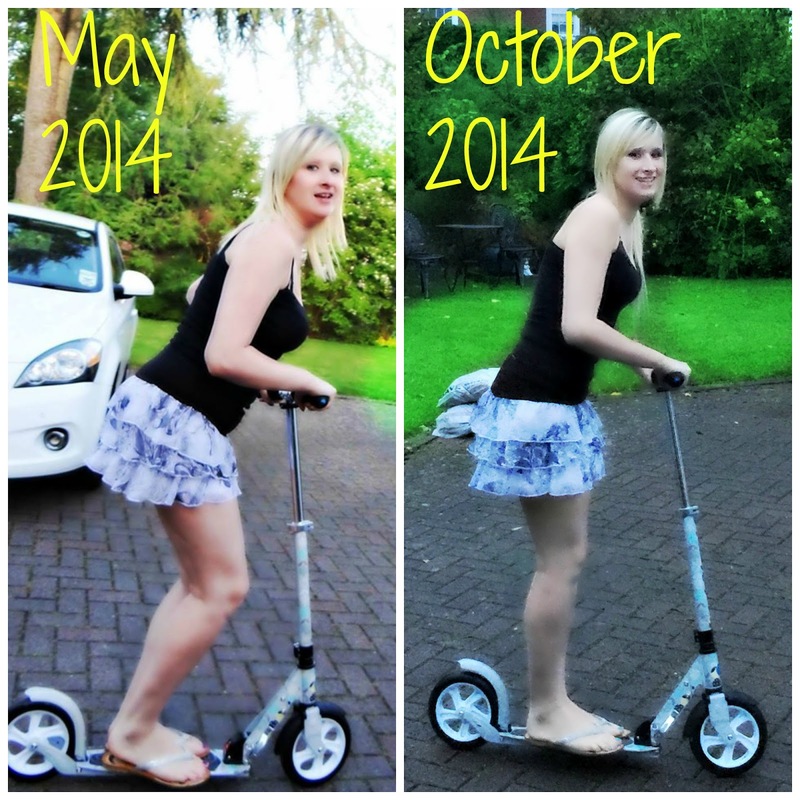 I have personally found the Carver brilliant, I love the exercise that you do without even realising it. 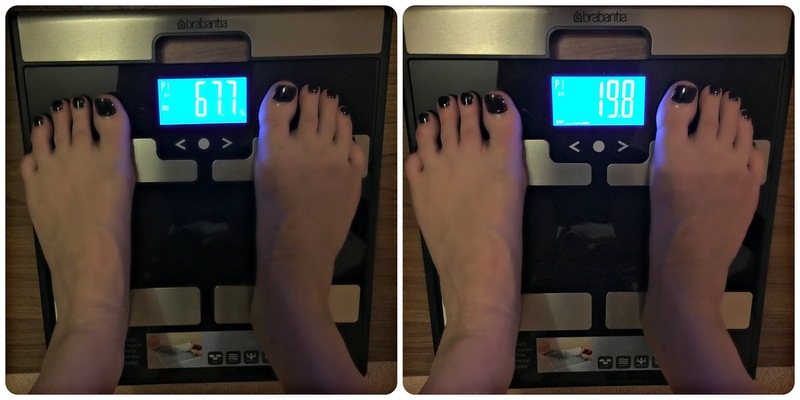 You can actually burn over 700 calories an hour using the Carver, and after playing with it for 10 minutes I could feel the muscles in my legs being given a good work out. The way you have to move to propel the Carver is just genius and I have found that it handles exceptionally well. 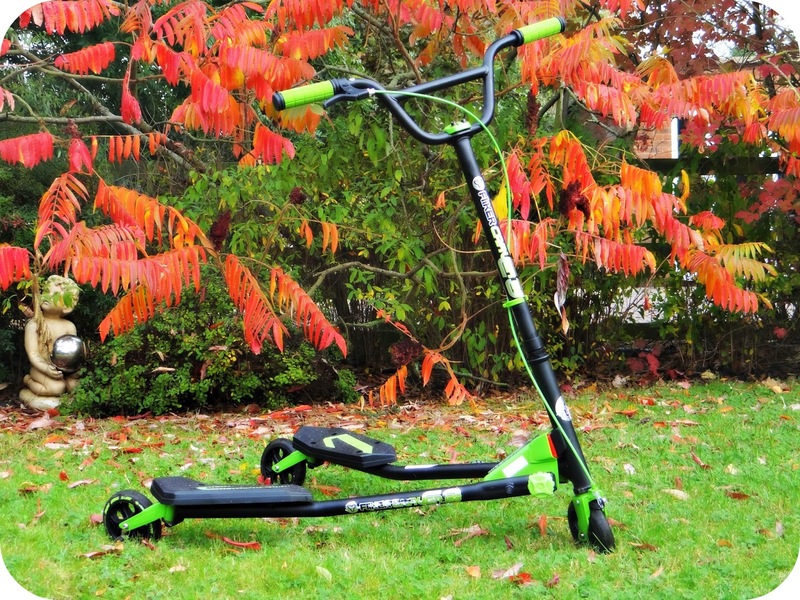 The Carver is a really unique looking scooter, it has 3 castor wheels. One at the front, two at the back and the way they are positioned makes it a really sturdy ride. The castor wheels are brilliant as they just roll in any direction, this is great when you are drifting around a corner or carving some shapes out. I have become more adventurous the more I have used this scooter, and the more confidence we build with it, the faster we go. We are currently using this on the drive at my parent’s house as they have lots of space for us to make use of it. We haven’t tried any really extravagant stunts yet, but having seen videos of what the Carver can do, and having handled it myself I know that it would be more than capable to do much more than what we are currently doing with it. 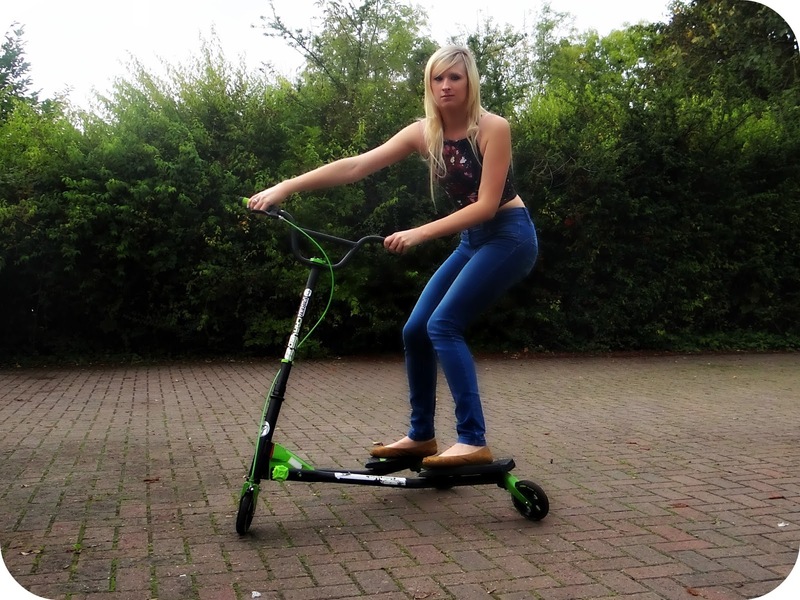 It’s described as the ultimate performance scooter and it really isn’t hard to work out why, it’s designed to perform tricks and stunts and comes in 3 different sizes so that kids and adults alike can enjoy them. The 3 sizes are Junior which is suitable for kids as young as 3, right up to 5 years of age. There is the 5+ and the 7 through to adult which is exactly what I have been using. What I have really been loving about the Y Flicker Carver is just how easy it is to steer it is, and ultimately the brake on the handle bar. It is always nice to know that you can stop, especially if you find your toddler deliberately targeting you, and by targeting I do mean hurtling towards you at speed! The brake makes so much difference, traditional scooters usually have the foot brake on the back of the scooter, so having an easy to reach handle bar brake has been a godsend. The Carver isn't all about stunts and driving it really fast, it’s great exercise, great fun and something completely different. 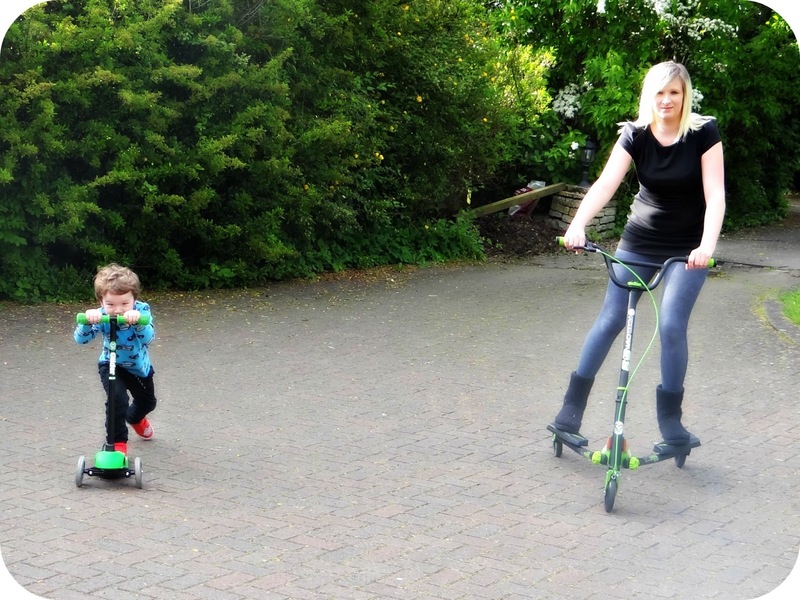 We are thoroughly enjoying the Y-Volution Carver and Leo is LOVING having Mummy and Daddy out to play. The Carver retails at £99.99. Disclaimer: I was sent the Y-Volution Fliker Carver for the purpose of this review. All views and opinions expressed are completely honest and my own. With Autumn well and truly upon on us, thinking back to the summer that brought with it the weather we had all been craving, sunshine...Seems like a distant memory. That warm weather had shaken away any winter blues that we may have been harboring and it meant that the shorts and t-shirts could be broken out of the wardrobe and worn for the first time of 2014. Leo had been sent a pair of new shorts from Joules, the BOB Boys Cargo Shorts and with the summer sunshine we made the very most of them. . I really liked the camouflage print and had wanted a pair in a similar style to this for a while. With Leo being a tall toddler and with his 3rd birthday coming up, we had opted for the 3 year old sizing. They fit him perfectly and have lots of growing room, not to mention how great they look on my handsome man. So far the shorts have been modelled by Leo with his red Lightning McQueen canvas shoes and a selection of red tops. The shorts wash well and they still look as great as they did when they were new. I think it’s important to know how clothes wash, as you really don’t want to find out that as soon as they have been through the wash a few times, that they aren’t going to last as long as you had hoped. The BOB Boys Cargo Shorts retail at £24.95. Along with Leo’s shorts I was also sent a rather lovely Joules Quilted Jacket. I fell in love with this coat the moment I saw it online, and when it arrived I loved it even more. The coat is fitted so it fits closely in all the right places. It looks slimming and is so comfortable to wear, perfect on a breezy day or when there’s rain in the air. I opted for it in Black as I figured it would be easier to match up to what I was wearing on any given day, but it also comes in Navy and Red. I did really like the Red colouring but having been down this path before, I thought it would be more practical to go with Black. I actually found out just how shower proof this jacket was while on holiday in Cornwall back in August, it was a chilly day and I had decided this would be the perfect jacket for the weather. It was while we were out on a visit to St Michael's Mount that the torrential rain began, and it wasn't long before the persistence of the rain was dripping in on my bare skin. It has been perfect in showers, but if like me you find yourself in a never ending rain storm.. You may want a poncho to wear over the top! This coat has quickly become my favourite, and it is a real treat for me as I have never had a coat like it before. It retails at £109 which is actually more than I have ever spent on a coat before, but I can see why it is worthy of such a price tag. 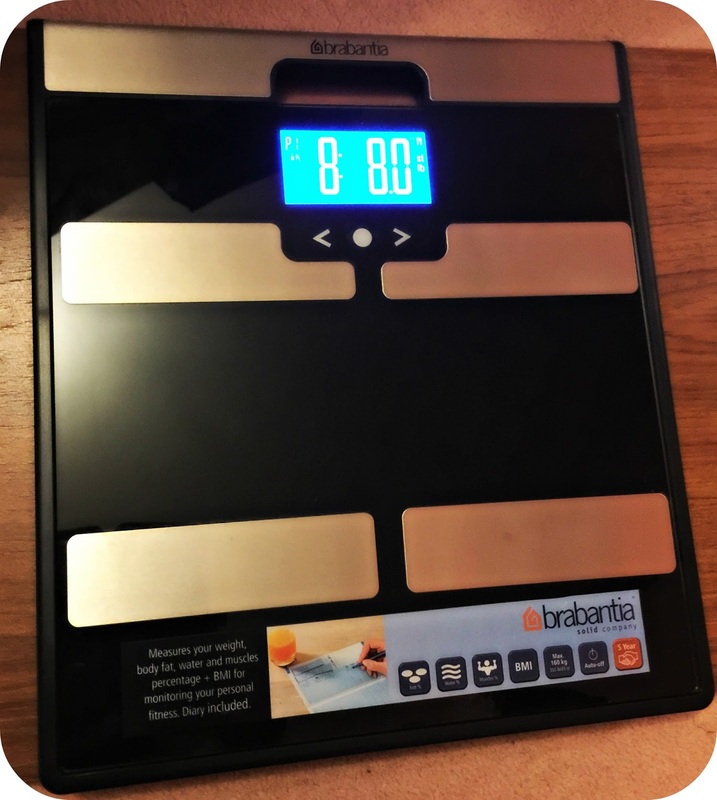 You can currently grab it at the bargain price of £59! As usual we have been really impressed with Joules, we love their clothes and we always get so much wear out of everything we have ever purchased from them. As we begin to look forward to the festive season the mind starts to ponder the gifts that we will be purchasing for those closest to us, and let's face it the gifts we may hope to receive. With October now in full swing, the days growing colder and the nights having truly drawn in, it really is starting to feel a lot more wintry around these parts, and it is only natural that we look to fill our dark dismal days with something sparkly and beautiful.. Or is that just me? I was recently sent a rather beautiful pendant that I have been really excited about sharing with you all. It is certainly an item that I will be making the very most of over the upcoming festive period, I expect that there will be a number of nights where I will be able to show case the Art Nouveau Amber Pendant. 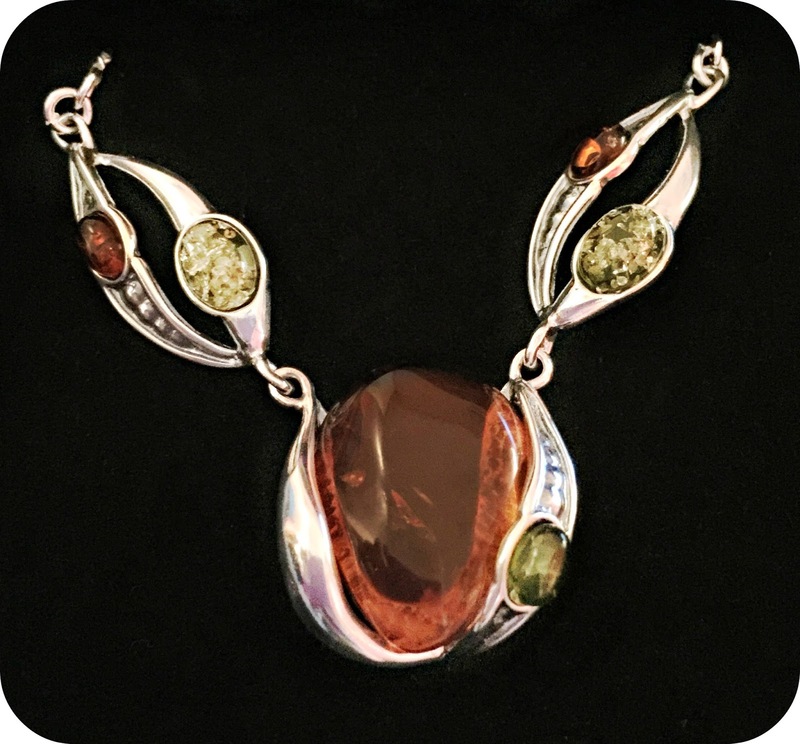 The pendant is set on a Silver chain and there is no denying the varying hues of Amber that run through the stone. I have always admired Amber but never added any to my jewelry box until now, and it is defiantly a stand alone piece within my necklace collection. For me personally I usually opt for something more simple, and I can usually be found wearing my Silver finger print pendant that I had cast of Leo when he was 7 months old. This is a very special piece for me and is usually something I wear daily. The Amber Pendant will be an item that I wear for special occasions, and is going to look rather dazzling when it makes it's debut over the next couple of months. The pendant retails at £99.99 and would make the perfect stocking filler for that special lady in your life.. Don't you think? I know that with each year we talk about Christmas that little bit earlier, but whether we choose to accept it or not we are officially on count down to the big day. I know that I like the idea of beginning my shopping that little bit earlier than the masses, and I would be telling porky pies if I said that I hadn't already tucked one or two things away, and over the next few weeks I intend to get a list together and beginning to strategically work my way through it. This year I intend to be one step ahead of the game, I don't want to be sat up on Christmas Eve running around like a headless chicken. I want to be prepared, in my PJ's before 9pm and snuggled up with a good Christmas film accompanied by a rather large glass of Mulled Wine. Disclaimer: I was sent the Art Nouveau Amber Pendant.for the purpose of this post. All thoughts and opinions expressed are completely honest and my own. 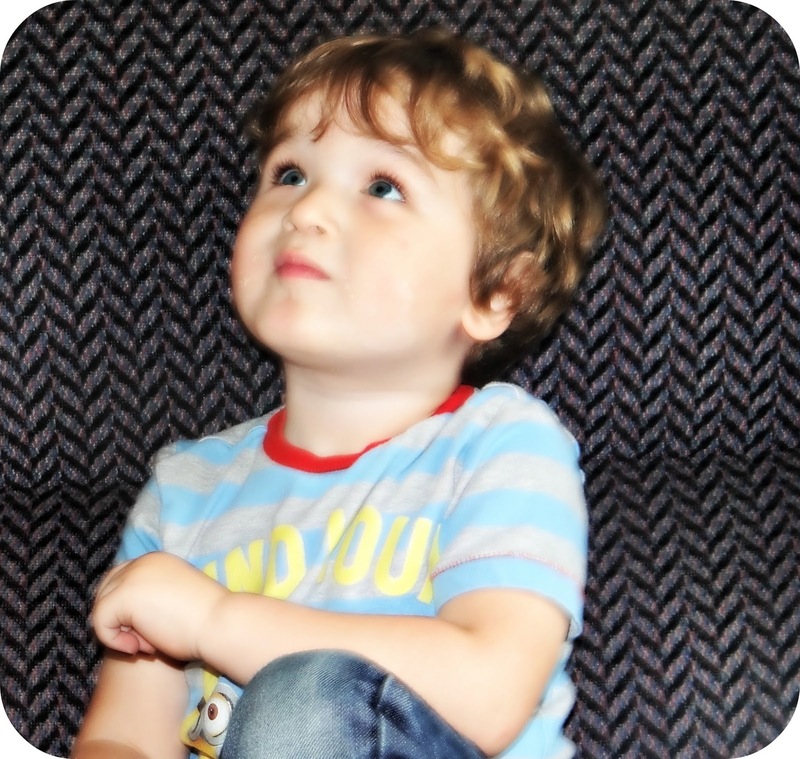 Speech therapy is something that I have been talking about since January, it is an aspect I had never thought that we would need to pursue with Leo in the beginning, but as he has got older and not said as much as his peers it is something we have realised we will need to explore. It all started back in January at Leo's 2 and a half year assessment, and it is here that I feel that we were let down. 9 Months later we have never heard back from our Health Visitor, she never did call us back up for the check up we were promised despite me calling repeatedly, she couldn't even find the time to return my voice mails. I still feel very let down by the system as if she had done her job properly, we would have been well into the system by now, but as it happens we have gone through nursery and managed to avoid our Health Visitor all together which has been a much more tranquil solution, as I am beyond angry with how she has treated us, and how she has just let Leo fall through the net. I can't fault the nursery at all, they have helped us no end since Leo began with them in January, I have seen such an improvement in him and have absolutely no doubt that he is coming along nicely. I want the speech therapy in place to just give us that extra push and to make sure that my big boy is ready to start school next September. After a rather long wait (at least 20 weeks) we were issued a appointment to see the therapist for an initial assessment. Last Monday I popped along to the nursery for a meeting so that they could observe Leo and make a start with spurring Leo on. We met in the office and Leo was allowed to play with puzzle pieces on the table, he was presented with two different images and asked which one he would like, it was here they wanted him to use his words and tell them. Of course Leo did this no problem and they were happy with what they were hearing. In the half hour that we were in the office they heard him putting sentences together and really giving it a go. I came away feeling positive after this appointment, and for the first time I didn't feel like strangers were passing judgement on why Leo's speech is delayed. 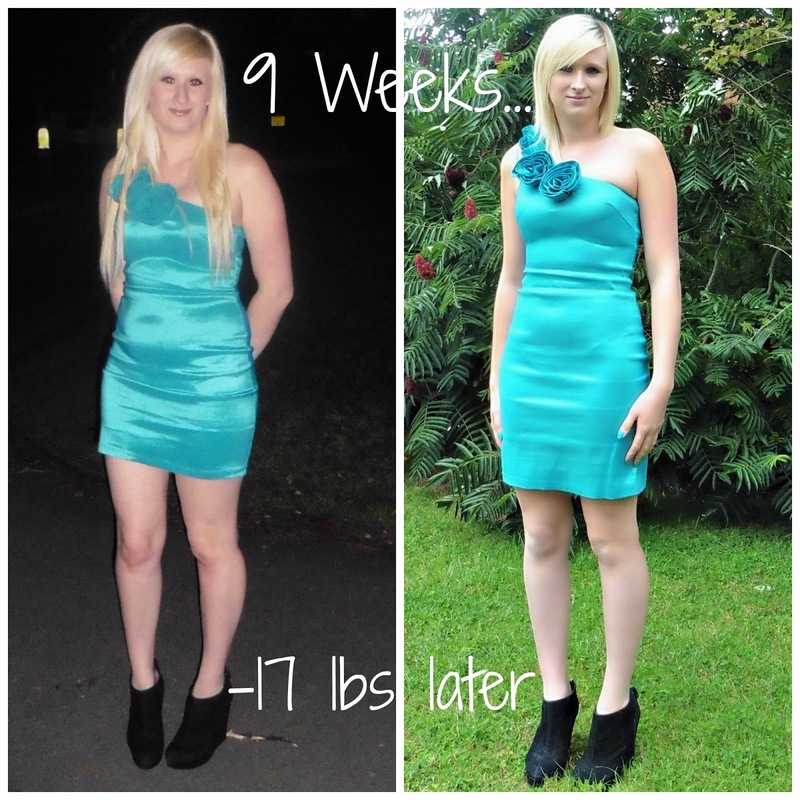 When I walked out of the 2 and a half year check I felt awful, I felt judged and that I was failing as a parent. No one deserves to feel like that, these people are here to help us achieve the best for our children, and that is all I want for Leo. I want him to be absolutely everything he can be, and I want to do my best to put him in the best stead to achieve his dreams. That's all any parent wants right? I know having spoken with Luke about the speech therapy that he was worried that Leo would fall behind, that he may be bullied and he may take a while to catch up, but strangely I haven't felt worried. Maybe I should feel worried? But I don't. I know that there is nothing wrong with Leo, I know that he is putting more and more together with every day that passes, it was just Saturday that he told me 'My feet are tired', 'I want to go on a train', 'I want to see the fish', I don't want to go to bed', and it was just last night he was singing 'I'm all about that bass, no trouble' to me, and it was just today that he was copying everything that I said and falling about in raptures giggling. Yes his speech has been delayed, and sometimes he speaks before he thinks and his words come out in an order that doesn't seem completely logical at times, but he is getting there. He will be fine. I no longer blame myself, I know it is not my fault and it would have been a relief to be told that back in January. It would have been complete magic to come away with some positive encouragement after that appointment, but I left feeling like I had let Leo down in some way. I am so glad that I shrugged that negativity off and focused on my boy the same way that I always have. I am open to all the help and advice that anyone puts my way, I welcome it with open arms because I only want the best for Leo, I have taken him to groups, special need groups along with everything else that we have always done. We read books, he absolutely loves his books, we play games and we head out into the world. 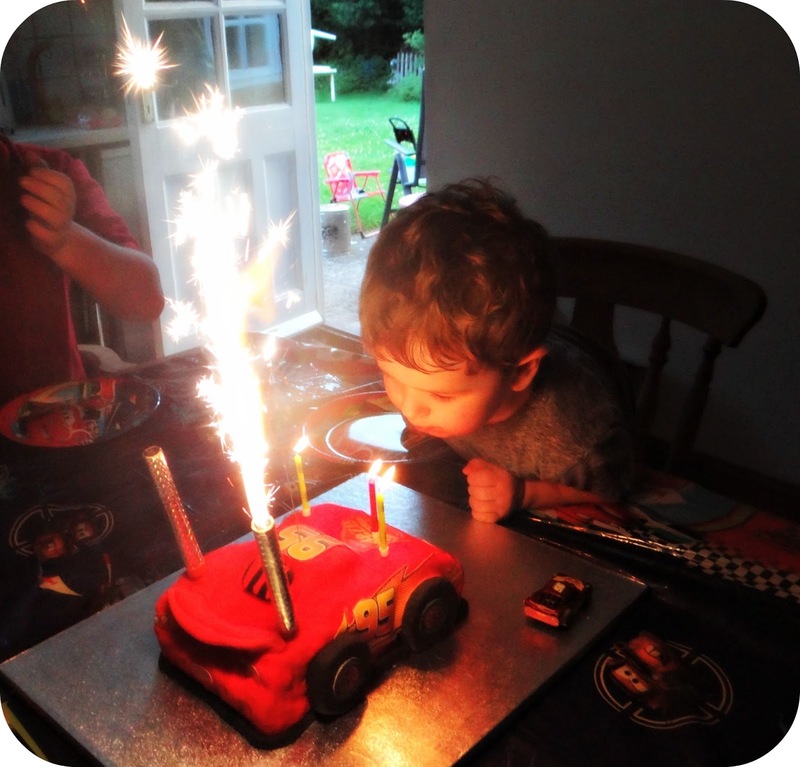 Children progress at different times and rates, and I am so positive about the development I see each day, I am glad that we have been given the speech therapy that will spur my little guy on further, and although I shouldn't say it... I am secretly giving that snarky health visitor the finger. 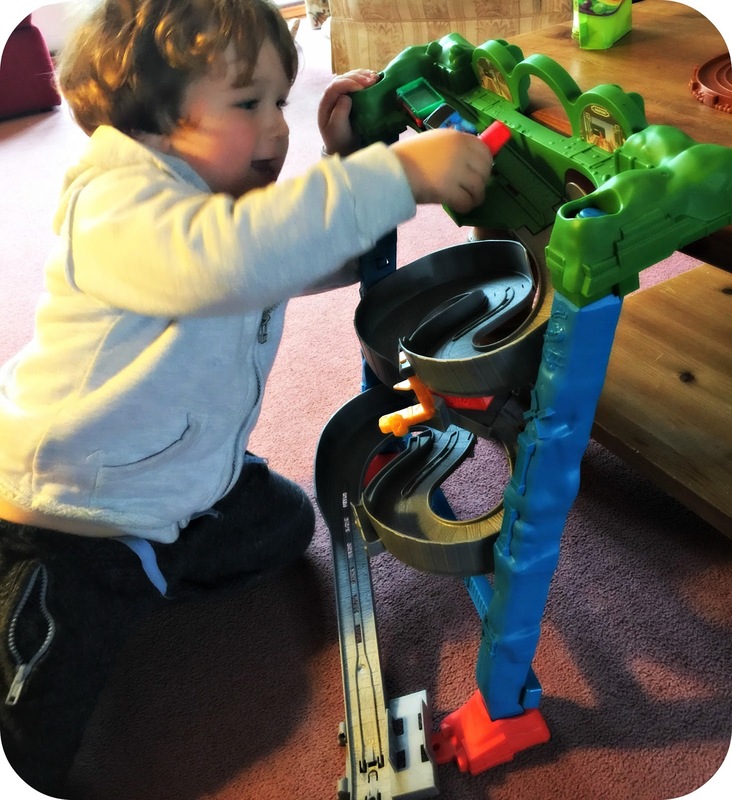 Leo turned 3 at the end of last June, and in anticipation of this Fisher Price who know of Leo’s love for Thomas, very kindly sent him a new set to try out. 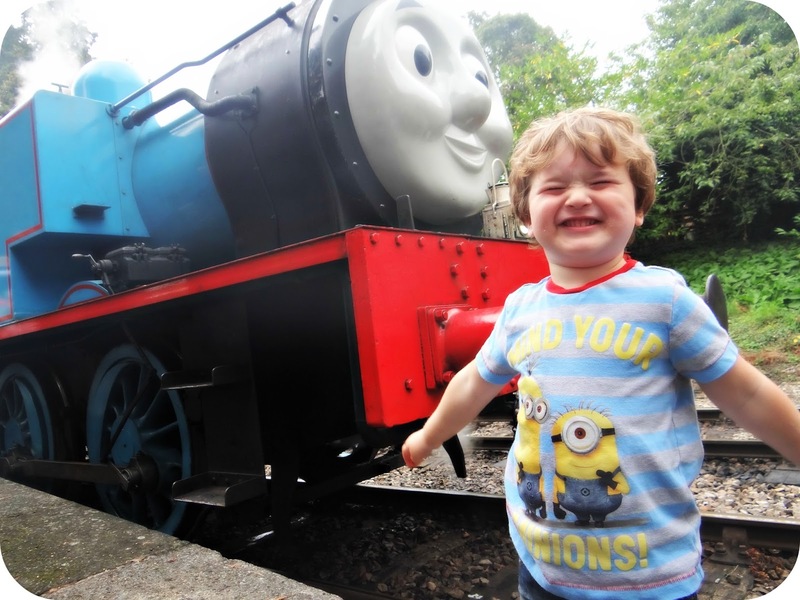 The Thomas and Friends Spills & Thrills on Sodor Take-n-Play set was a hit before it even came out of the box, as soon as Leo saw that it had train track and his favourite number 1 engine, excited doesn’t begin to give justice to Leo’s reaction. Spills & Thrills on Sodor is a plastic track that you piece together and then lay against a wall, this tilts the track so that you can put the included die cast Thomas train on while gravity does what it does best. I had to follow the instructions to put it together as I wasn’t sure where each piece of track should be placed. Some of the track once placed cannot be removed again, so I wanted to make sure that I got it right first time.. And avoid any disapproval from my 3 year old. Following the instructions the set was soon together, I had managed to keep Leo entertained with his new Thomas train while I constructed his new track. Of course he couldn’t wait until it was completely built to try it out, so mid completion Leo was hurtling Thomas down the tracks! Leo has been enjoying this set since mid-May, and he is still enjoying it as much today as he did when he first received it. 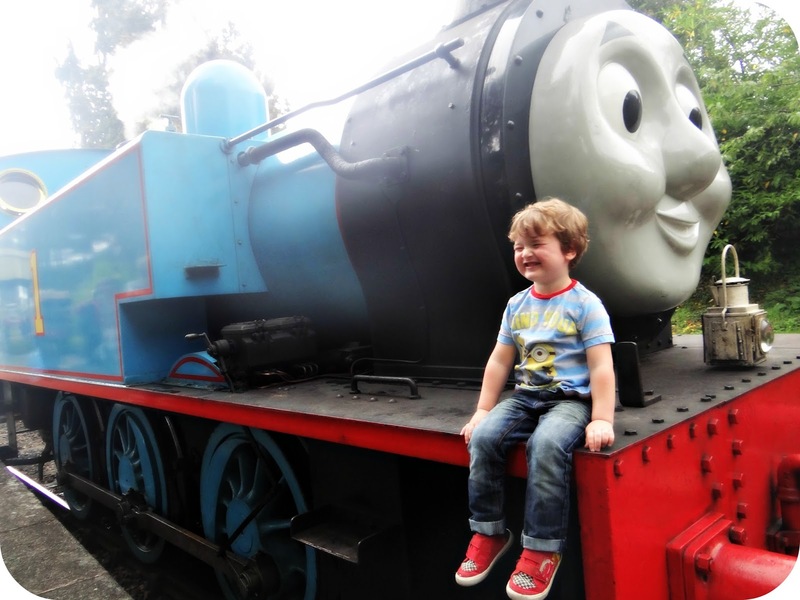 With Leo’s love of trains, and of course his love for Thomas, this ticks all of the boxes that Leo looks for in a toy. It has tracks for him to play with not just Thomas, but all of the cars out of his car box, and it comes with a high quality Thomas die cast train. As a parent looking at this toy I can see exactly why Leo loves it so much, it’s bright, colorful and full of adventure, but obviously we both look at toys in a different light. 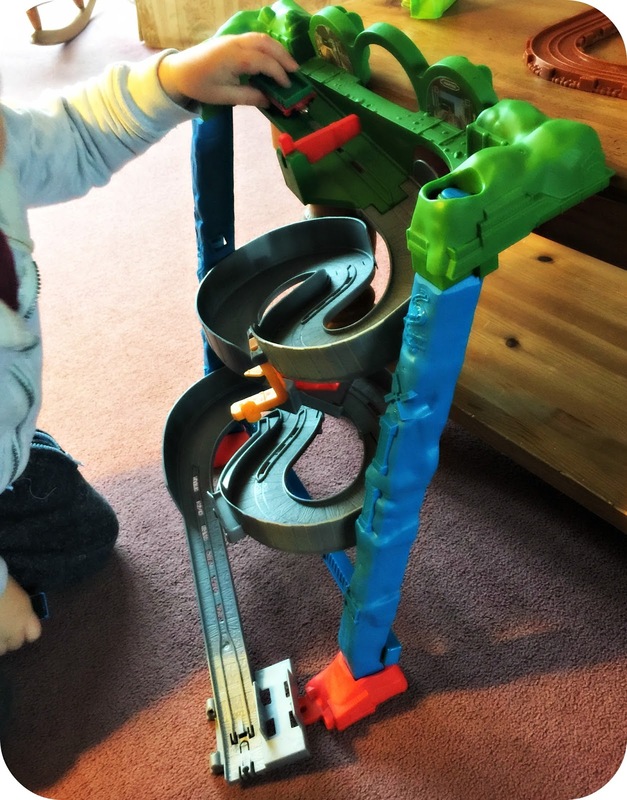 For me l have found that the plastic tracks don’t stay in place at the bottom of the track like they are supposed to, so it means that I have to keep popping them back in when Leo notices and has a toddler melt down. I think for the money it could maybe benefit from being stronger plastic. Although having said that, the set features a carry handle at the top which means Leo can carry it around himself. 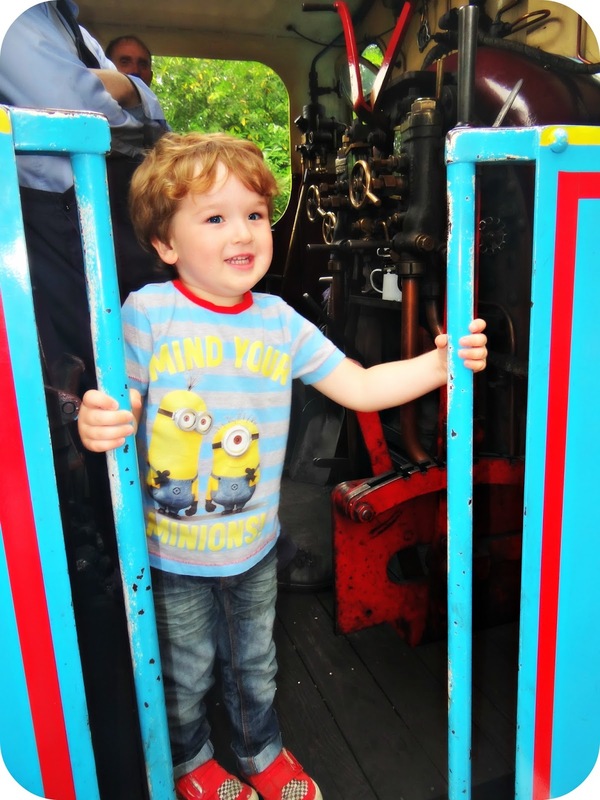 Leo is using the Spills and Thrills on Sodor to play out imaginative scenarios, and as the weeks go on the games are getting more adventurous. I love to just sit back and watch Leo playing his games, listen to the story lines progressing as he makes each character perform in his very own game of make believe. He puts all of the train sounds in and improvises them to reflect whether Thomas is driving fast, or slowly. 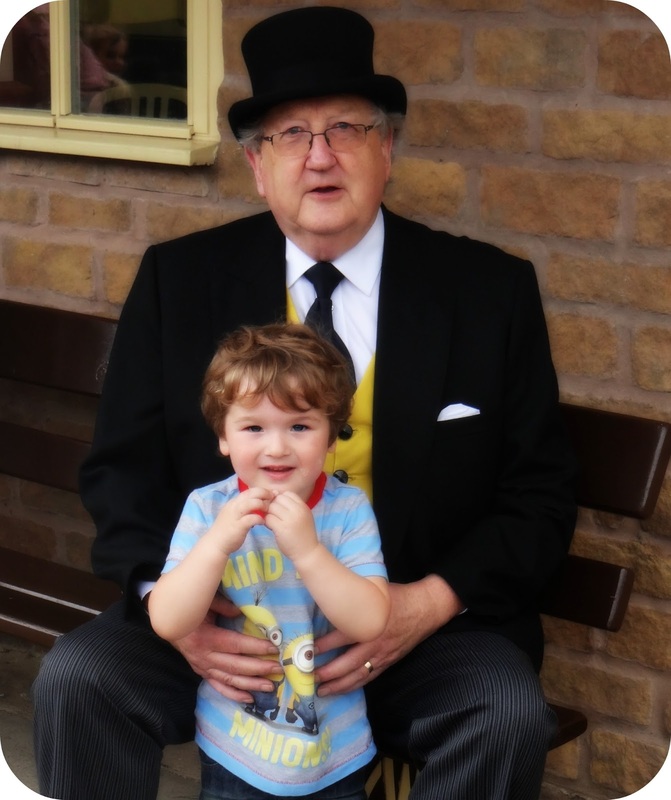 He knows that bigger trains make different noises and that steam trains have whistles. It really is fascinating to just sit and watch a child play their very own games. Over all we both really like this set, I do think at £24.99 it is priced higher than I would like to pay for it, but now seeing how much Leo enjoys playing with it, I can see that it certainly provides the play value. Amazon currently have the Thomas and Friends Spills & Thrills on Sodor Take-n-Play set priced at £24.97. 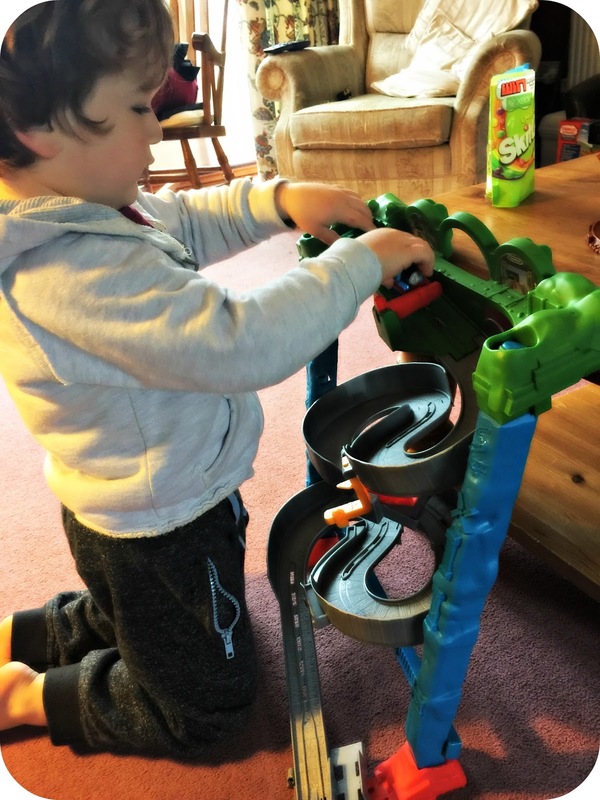 Disclaimer: We were sent the Thomas and Friends Spills & Thrills on Sodor Take-n-Play set for the purpose of this review. All views and opinions expressed are completely honest and my own. Our physical environments can have a major impact on our ability to learn, and this is especially true for young children. 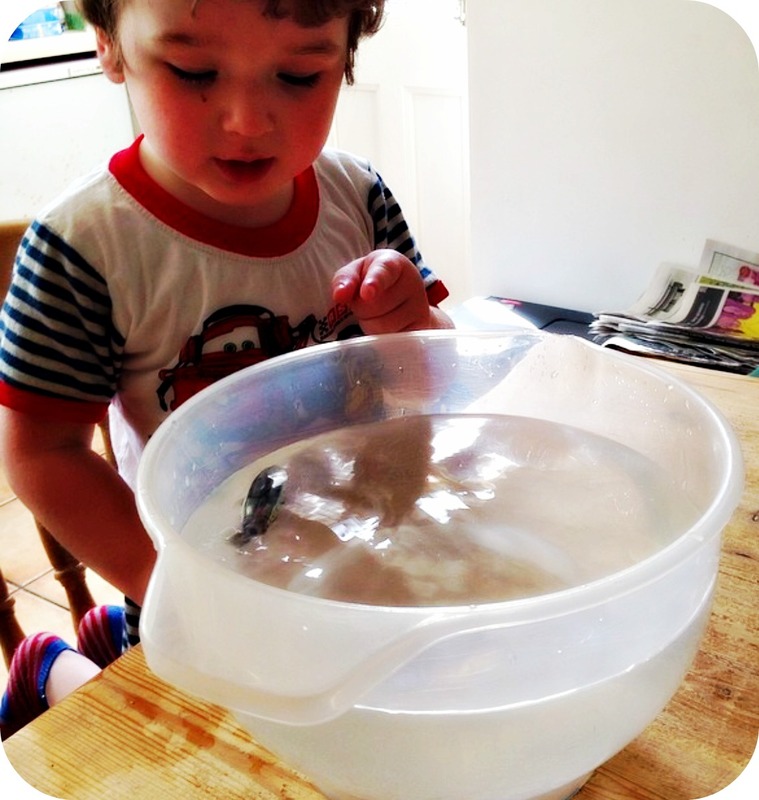 In their early years, kids constantly interact with their surroundings by touch, taste, smell and hearing. Because of this, well designed learning environments can play a significant role in encouraging children’s physical and mental development, promoting their powers of creative expression, boosting their confidence and fostering social skills such as cooperation and trust. Therefore, when you’re creating classrooms for youngsters, it’s important to pay keen attention to every last detail. This brief guide to the psychology of early years learning could help you achieve your goals. All good early years classrooms contain different zones where children can engage in various activities. 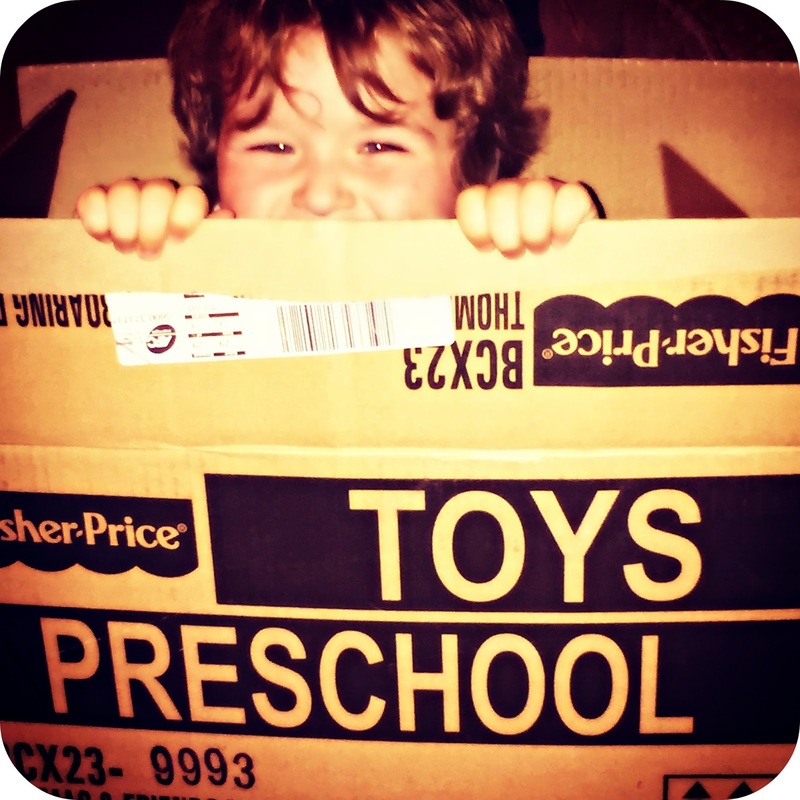 For example, areas may be set aside for creative tasks, reading and play. Research suggests that classrooms with well-defined activity spaces encourage youngsters to becoming more involved in constructive pursuits. For the best results, it’s helpful to build a degree of flexibility into your classroom design so that you can change activity areas as and when you need to. On a related point, these environments should be complex in terms of their design and contents. While it’s important not to overwhelm kids with too much detail, the most effective early years classrooms feature a range of materials, floor coverings, activities, shapes and colours. The furniture you buy can help add to this level of variation. After all, it’s now easy to purchase chairs, tables, storage items and other products in a wide range designs and styles. For example, you can invest in soft seating to contrast with your existing chairs. Kids’ tub chairs complete with a padded foam finish make an excellent addition to classrooms and these novel items come in a selection of different colours. Lighting can have a profound impact on the overall look and feel of learning areas too. These rooms should feature a good level of illumination and, if possible, they should benefit from plenty of natural light. It helps to have at least some windows at child height. Also, it is important to be able to control lighting levels to provide the right conditions for specific activities, such as watching videos. Youngsters take pride in showing off their work and so your classroom displays should include examples of pupils’ projects. This can help to bolster kids’ self-esteem and it can also increase feelings of belonging and community. Try to change your displays on a regular basis so that children don’t become bored of them and make sure you make full use of colour and texture. Of course, classrooms must be safe too. This means you’ll need to take great care to ensure that youngsters are not exposed to dangerous materials and substances. Any accidents that occur within learning environments can dramatically reduce children’s confidence. In the worst cases, such incidents can also cause pain and suffering. Creating the perfect classroom for young children does require some time, effort and investment, but it should prove to be well worth your while. By tapping into the psychology of early years learning when you’re designing classrooms, you can help to improve the experiences of your pupils. In addition, you can make life easier for your teachers. After all, it is much simpler to communicate effectively with youngsters and to guide their learning in high-quality environments. If you’re keen to enhance your classrooms by adding impressive new items of furniture, you can check out the selection of products offered by firms such as Furniture At Work™. It provides a variety of desks, chairs, stools, drawers, shelves, activity tables and more that could be just what your organisation is looking for.